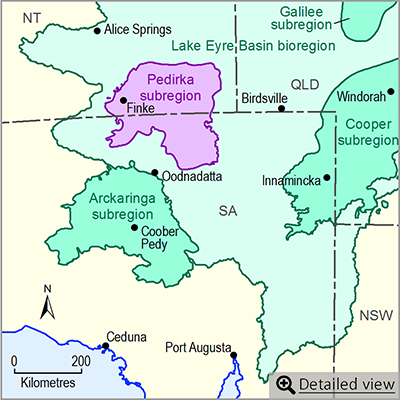 This bioregional assessment helps us understand how coal seam gas and coal mining development could affect water resources and water-dependent assets in the Pedirka subregion. This assessment was done in collaboration with the South Australian Government. The bioregional assessment found there is limited potential for coal mining in the Pedirka subregion, due to the remoteness and depths of coal in the geological Pedirka Basin and the consequent lack of data. There may be potential for coal seam gas extraction in the eastern part of the basin, but exploration is at an early stage. Research shows possible connection between parts of the eastern Pedirka Basin and the overlying Great Artesian Basin. 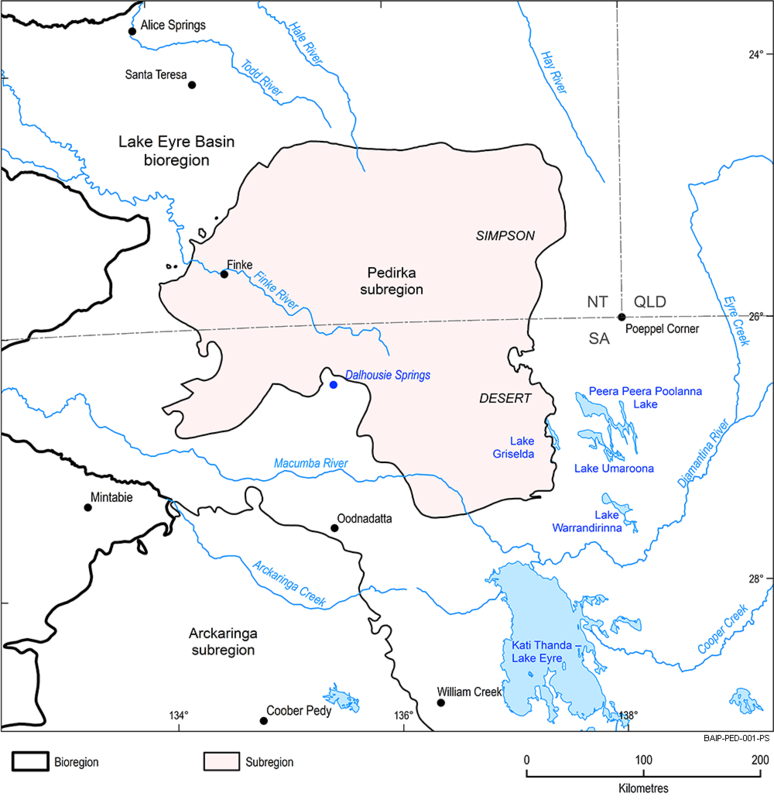 The Pedirka subregion spans parts of South Australia and the Northern Territory and is in the Lake Eyre Basin bioregion. Finke (Aputula) is the largest settlement in the sparsely populated subregion. It contains arid-zone river systems that are seasonal and semi-permanent and has a number of nationally important wetlands including the swamps, interdunal lakes and extensive woodlands in the area known as the Finke Floodout. The wetlands support a diverse range of plants and animals, many of which are listed as rare or threatened under Commonwealth and state government legislation. The lack of surface water resources means that groundwater is the main water supply for the subregion, mostly sourced from the Great Artesian Basin.